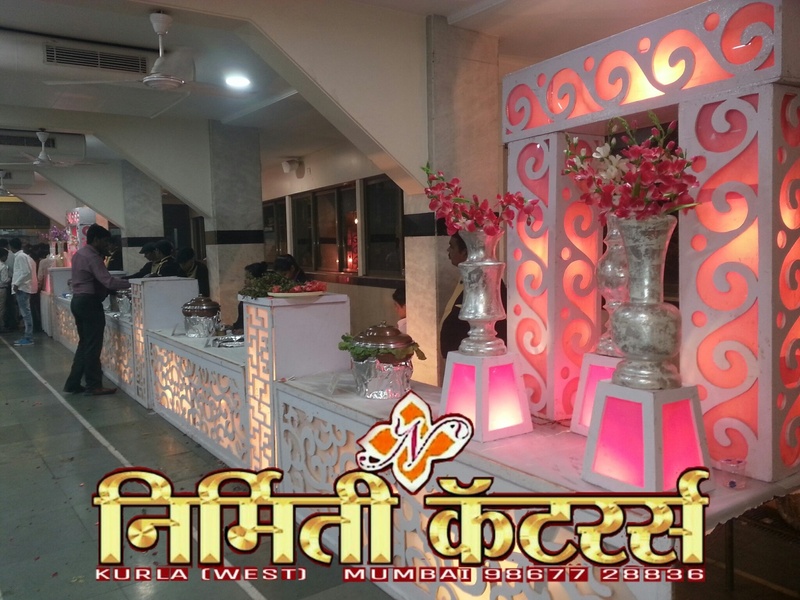 Nirmiti Caterers, Mumbai was started by Rohit Prajapati who offers catering services for all kind of occasions such as a wedding, ring ceremony, anniversary, birthday, corporate party, private function and bachelor party. Nirmiti Caterers, Mumbai takes care of serving delicious food for your event. Nirmiti Caterers is a caterer based out of Kurla, Mumbai . Nirmiti Caterers's telephone number is 76-66-77-88-99, address is Near To Omkar Meridia Or Chhadwa Nagar, H.P. Keluskar Marg (Match Factory Lane) Kurla West, Mumbai - 400070 Maharashtra . In terms of pricing Nirmiti Caterers offers various packages starting at Rs 351/-. There are 2 albums here at Weddingz -- suggest you have a look. 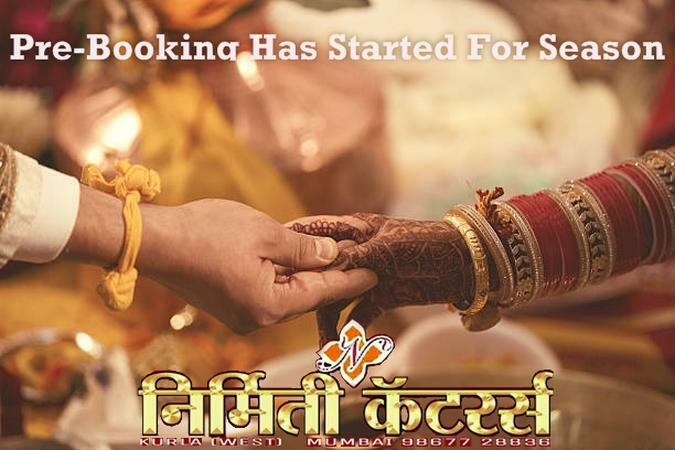 Call weddingz.in to book Nirmiti Caterers at guaranteed prices and with peace of mind.